It is never easy to deal with abdominal bloating, and it can be very discouraging if you feel bloated after exercising. So many things can lead to this problem, especially what you are drinking or eating before your workout session. Identifying the underlying cause may help resolve the issue in a better way. Let's find out more about it. As mentioned already, your diet plays a big role in how you feel during and after a workout, but there can be other causes too. Keep in mind that you should talk to your doctor if you continue to feel bloated for more than a couple of weeks. During vigorous exercise, blood starts moving towards your extremities, which limits the blood supply to your intestines. 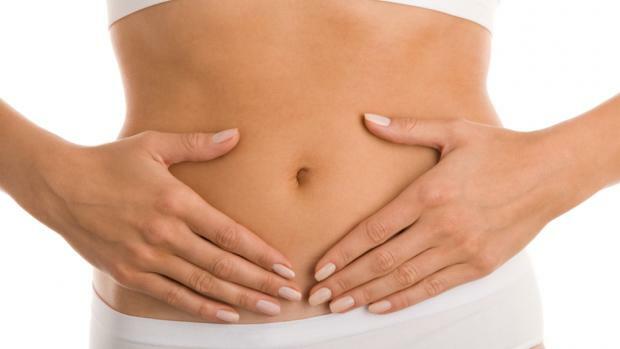 This can directly affect your digestive process, which in turn can cause bloating. The problem can become worse if you eat something hard-to-digest before working out. You are also likely to experience bloating and other symptoms if you already have an existing gastrointestinal disorder, such as irritable bowel syndrome. When there is a sodium or salt imbalance in your blood, your body will start retaining more water and fluid. This can lead to abdominal bloating. This imbalance can occur when you drink too much of water without taking enough salt. Similarly, you are likely to retain water when you sweat a lot during a workout session. If you have just started working out, you are more likely to experience water retention, as your body takes exercise as a trauma. You may feel bloated after working out if you have a problem that affects your breathing. It could happen when you have seasonal allergies. Not paying attention to your breathing pattern while working out can also cause the same issue. You may experience a tummy ache if you forget to breathe while doing certain exercises that test your core strength. Be sure to breathe out when you exert your body and breathe in when you are relaxing during each rep. Drinking too much of water can cause problems, but drinking too little can also lead to bloating and other health problems. This happens because you lose water during exercise and become dehydrated. It is therefore a good idea to take regular sips while exercising. Otherwise, you increase your risk of dealing with tummy pain, stomach bloat, and gas. Spending so much time training your abs can also leave you feeling bloated after working out. Crunches are good, but doing too much of them is only going to make your workouts less effective. Many people focus too much on crunches and other core exercises because they think this will help them lose some belly fat. Understand that spot reduction is nothing but a myth. You have to lower overall body fat percentage to notice reduction in your belly fat. Do not include too many of crunches, side planks, Russian twists, and sit-ups in your workout, and when you do these exercises, be sure to stretch your body properly before and after the exercise. Maintaining a right breathing pattern throughout your workout session is important. If you take shallow breaths, you may end up swallowing so much air that you feel bloated once you finish your session. Drinking too fast during exercise can also make you swallow air that results in all sorts of tummy problems. Abdominal bloating could also be a side effect of certain medications, such as pain control pills and anti-depressant medications. These medications have a diuretic effect – they can make you urinate or sweat more. This would make your body to retain more water, which in turn would lead to bloating. Some medications could make you feel hungry, which would make you eat more and result in bloating. If you are taking birth control pills, you may also have to deal with water retention as a side effect. Talk to your doctor if you think your medications are making you feel bloated after working out. Be sure to drink when you are thirsty. This will keep you from dealing with over-hydration and dehydration. It may also be a good idea to consume sports drinks because they contain added electrolytes. Avoid or limit your intake of caffeine and carbonated drinks. You should also avoid high doses of vitamin-C and foods that contain loads of sugar, fiber, or fats. Consider having small snacks high in sodium, such as chips or pretzels before your workout. This especially helps if you are a 'salty sweater' – you lose more sodium when you notice white marks on your clothes after workout or have a salty taste when you sweat. Still, it is a good idea to consult with your doctor before you decide to increase your sodium intake.